There is no doubt, video is a major force in online marketing. 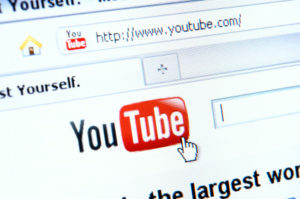 You Tube is now the second biggest search engine and many websites are now putting video on their website to help improve site stickiness and provide additional information. Video can also be a way of driving traffic to your website. There are pros and cons of using either service. If you are using video from a public video sharing service like YouTube, your video will be automatically detected by Google and therefore it has the potential to be indexed by search engines. However you need to make sure the title and description information is filled out as a bare minimum. You can also upload a transcript of the video if you want. If you use private video hosting services then you will need to let Google (and other search engines) know about your video. You can do this by submitting a video site map to Webmaster Tools. The file you submit needs to be in the form of an xml file. It needs to contain information about your video. a thumbnail of the video. Optionally, you can also provide information about how long the video is, when it expires, how many views the video has had, the publish date, descriptive tags, the category it belongs to, if is it family friendly or not, and any restrictions on where the video can be viewed. The information helps Google and other search engines determine the content of the video so it can be displayed in search engine results. Some of this information is quite technical so it is worth checking with your web development firm if they have submitted a video sitemap for you. So why would you use a private video hosting service?